So let’s talk about Monmusu for a bit here. 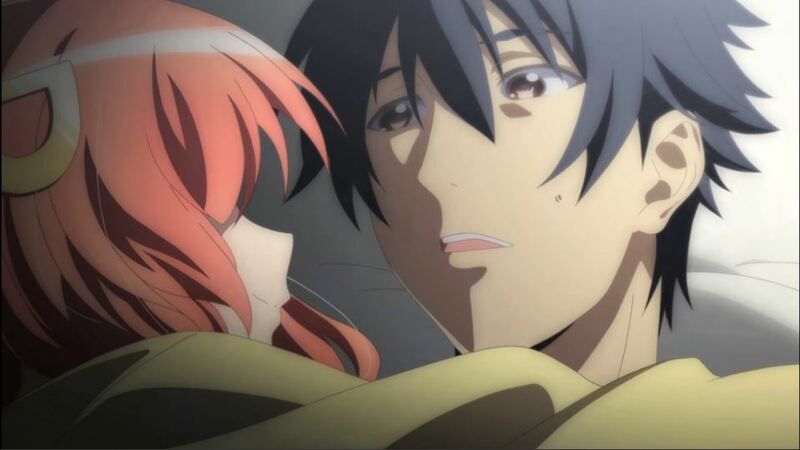 The anime adaptation aired earlier this year and was pretty much a faithful adaptation of the source material. 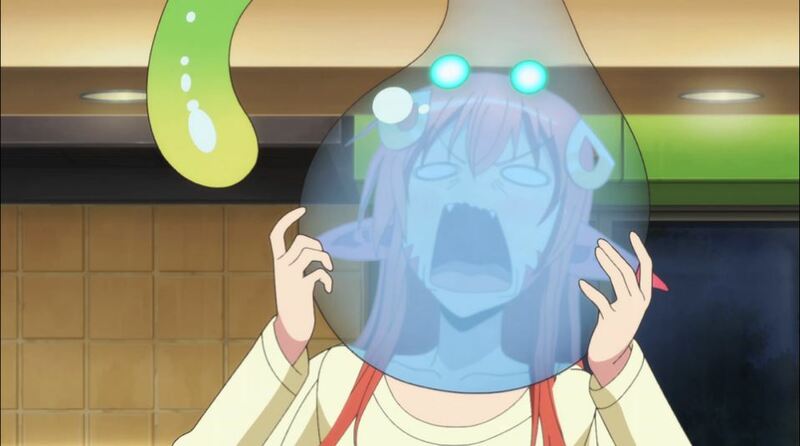 Yes, that even included the chapters where Miia sheds her skin and Papi lays an egg. So what is it about a series that revolves around monster girls falling in love with a main character whose actual name is only said once that draws people to it. The first thing that sticks into my mind is that it is based on a hopeful outlook on humanity. Suddenly the world is filled with non-humans that are trying to integrate into society where they lived a secret existence before, and for the most part everything is fine. MC-kun has to punch a guy in the face for mocking Miia and that cameraman was a terrible human, but otherwise it’s a pretty seamless transition for society. However, when one takes a slightly deeper look at the premise of the series, it really is about a special group of people trying to gain legal recognition. 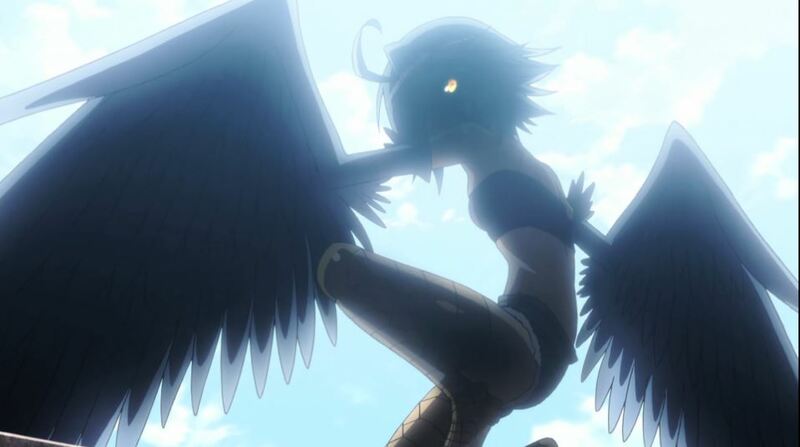 For as much as there are rules in the Japan of Monmusu regarding contact between humans and monsters. MC-kun, though, is going to be allowed to marry one of them as a trial balloon for full integration. Actually, it’s probably not about that at all. It might just be a series that is about attractive girls being put in perverted situations that are only enhanced by the fact that more things are possible if the girls aren’t completely human. I mean, that would be the easy thing to say about Monmusu. Yet, I can’t really buy into that. 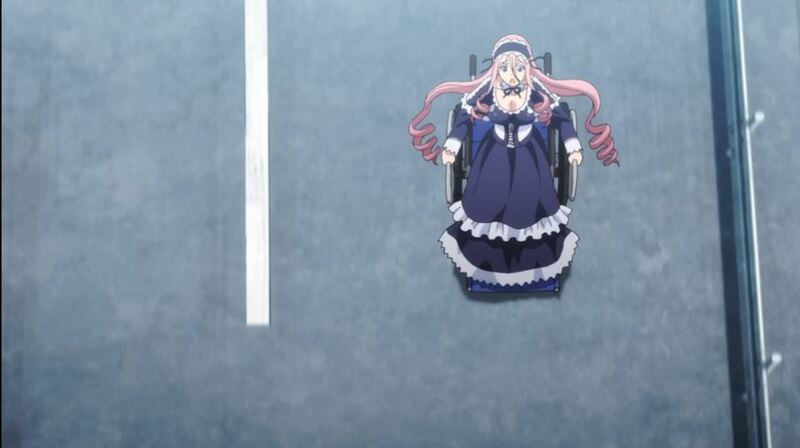 Each episode’s ending card featured information on the types of races that are in the Monmusu universe. Most of those featured do not make an appearance in the show at all, but it does show that there was a great amount of research put into adapting monsters of legend and popular culture into the context of a harem series set in modern Japan. Miia may be a lamia, but here are the other types of snake monster girls that exist and what makes them different. That’s the sort of information that is made available. I think most of all and probably what I should have started with is that it’s simply a fun and light-hearted series. 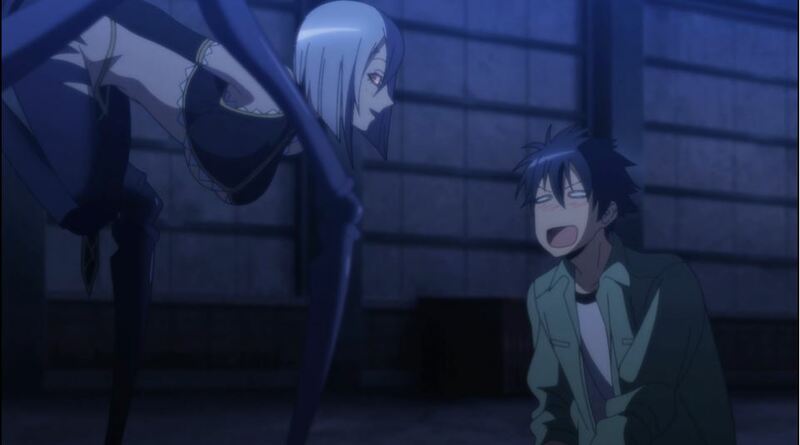 Miia, Rachnera, Mero, Suu, Papi, Centorea, Lala and the rest of the monsters might be nothing more than fanservice characters for some, but the world they inhabit has very little in the way of evil. It’s really just daily life with interesting girls.